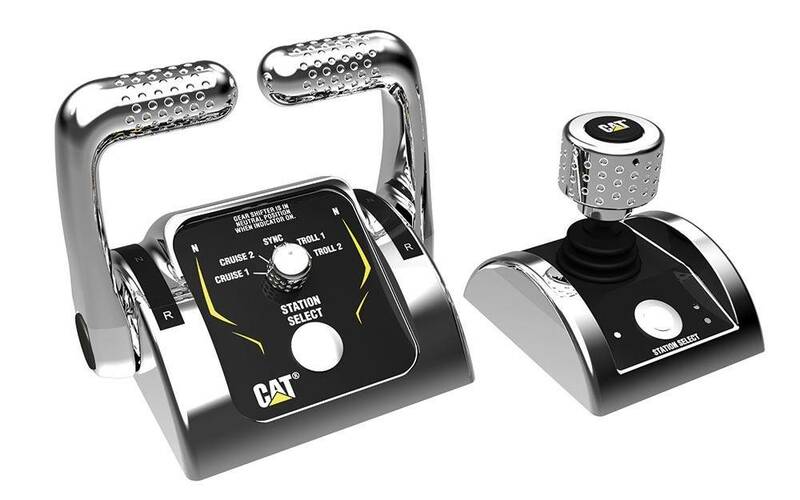 Caterpillar Marine say they will unveil a significant product milestone at the 2013 Fort Lauderdale International Boat Show, introducing the Cat® Three60 Pod 650, which is specifically designed for the new Cat C8.7 electronically controlled marine propulsion engine. The new Cat Three60 Pod 650 revolutionizes docking and slow-speed maneuvering for diesel-powered yachts. Available in spring 2015, the pod is specifically designed to be remarkably easy for customers to learn, with easy ‘push, twist and go’ maneuvering. Visitors attending the Fort Lauderdale International Boat Show will have the opportunity for a hands-on introduction to the pod at the Caterpillar booth, where a complete Cat Three60 Pod 650 and simulator will be on display. This new product will be shown at the Caterpillar booth #1212 at the Fort Lauderdale International Boat Show, October 31st – November 4th, 2013, in Fort Lauderdale, FL.